The Stallions are often cited as being one of the league's most loved and best supported teams. 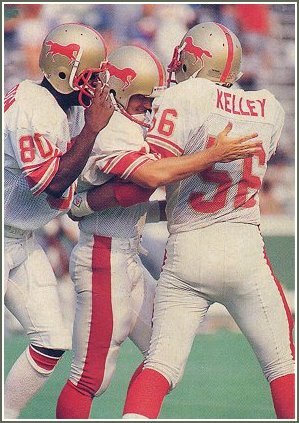 In 1984 and 1985 they also were one of the best teams in the USFL. The city of Birmingham even bailed the team out of financial trouble with a $1 million loan during the 1985 season when owner Marvin Warner, a former U.S. ambassador, went through some legal problems. The Stallions were largely unspectacular in 1983. Behind quarterback Bob Lane, the squad finished with the circuit's third worst passing attack. The running game, however, was best in the league with 3,017 yards and mostly to thank for the team's respectable showing. Ken Talton topped the squad with 907 yards on the ground. After its shaky inaugural campaign, Birmingham started the 1984 season with a gaudy 9-1 record and by season's end edged out the Tampa Bay Bandits for the Southern Division title. The additions of quarterback Cliff Stoudt of the Pittsburgh Steelers and runningback Joe Cribbs from the Buffalo Bills were a large part of the team's rise. 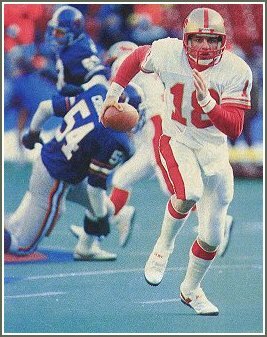 Stoudt was the USFL's second-leading passer with 3,121 yard, 26 touchdowns and only seven interceptions, while Cribbs topped the league with 1,467 yards rushing. 1983's top receiver Jim Smith led the team with 89 catches for 1,481 yards. The Stallions beat the Bandits, 36-17, in their quarterfinal playoff game before falling to the eventual champion Philadelphia Stars, 20-10, in the Eastern Conference title game. The Stallions were just as strong the following year, fielding the league's third best offense and second best defense. Stoudt threw for 3,358 yard with 34 touchdowns, and Smith caught 87 balls for 1,322 yards and finished second in the league in scoring. Cribbs also ran for 1,047 yards for the Eastern Conference regular season champs. Once again, though, Birmingham won their first round game, 22-20 over the Houston Gamblers, but again was beaten by the Stars, this time 28-14, in the semifinals. Their Finest Hour: The Stallions' largest crowd of the season was on hand for Birmingham's 1984 game against the Oklahoma Outlaws. The expansion Outlaws had fared surprisingly sell in their first season, compiling a 6-2 mark going into Legion Field. The Stallions, though, had also been on fire early in the year with a 7-1 mark. Oklahoma scored the game's first 10 points and built up a 17-7 lead with under three minutes left in the half. But Stoudt marched the Stallions down the field and hit Jones with a short TD pass with less than a half minute remaining before halftime. Birmingham came out of the lockerroom and immediately took control of the game. Darryl Mason caught a pass for a touchdown, Jones caught another scoring toss and ran one in, and Smith brought down yet another Stoudt aerial for a long touchdown. In all, Stoudt tossed five scoring passes, two each to Smith and Jones as the Stallions cruised to a 41-17 win. The defense did its part, picking off three Outlaws' passes and recovering a fumble.